Explanation of the two verses. The Qunoot of the leader of the Messengers Muhammad (salallaahu `alaihi wassallam) whilst those behind him were leaders of pious believers (i.e. the Sahaabah) – whilst all along they were Ameen to his supplications. Those being supplicated against were the unbelievers. These unbelievers did things that most of the unbelievers did not do. From the things they did was to strike their Prophet and their striving to kill him – and their mutilating the bodies of the Companions alongside the fact they were the sons of their uncles. The Qunoot can be done in the time of calamities. Naming those who are supplicated against in the Prayer as well as the names of their fathers. Cursing a particular person by name in the Prayer (Qunoot). His seriousness concerning what he did due to which he was labelled as being insane – and likewise is the situation today if a Muslim was to do the same [call to Tawheed]. His saying to those far from him in relation and those close relatives: “I cannot benefit you in front of Allaah at all,” until he even said: “O Faatimah daughter of Muhammad, I cannot benefit you in front of Allaah at all.” And if that is what the Messenger said clearly, and he is the leader of all of the Messengers – that he cannot benefit the leader of the womenfolk of the worlds – and a person knows and believes that the Messenger does not speak except the truth. Then when one looks at what has settled into the hearts of particular individuals in this time; then Tawheed will be clear to him as well as the strangeness of the Deen [in these times]. The hamza (أ) at the beginning of the verse denotes an accusatory question. And it entails the fact that the Mushrikoon (polytheists) associate partners in worship with Allaah by way of worshipping that which cannot create anything, rather what they worship is itself created. So this verse contains a rebuke upon the Mushrikeen due to the fact that they made these gods artificially (handmade) as partners unto Allaah, yet these handmade gods cannot create a thing – and this god cannot create itself by itself, and it cannot create other than itself. And the Mushriks of those times did not believe that their idol gods could create, nor did they believe that a god [they made themselves] had the ability to create anything else, nor the ability to create itself. So the Mushriks (polytheists) of that time affirmed this and knew this. They knew that these gods had no ability to do anything by themselves. However the dubious doubt entered upon them due to the fact they believed that these objects of worship were images of righteous people who’s supplications Allaah would answer, and that Allaah would accept their intercession in that which the people sought intercession for. So if the people sought from them help, then these gods would ask Allaah on their behalf – and they believed that Allaah would not refuse their request. And this is a Satanic deception, and a trick of Iblees. How many people has Shaytaan deceived in this manner. They forgot that these objects of worship cannot even hear their supplications and they are not able to answer them nor to assist them in any way in that which they request. It is Allaah who hears their supplications, and it is He alone who is able to answer them. So it was obligatory upon them to abandon these objects of worship that cannot even hear, nor see, nor speak – rather they should turn their worship towards Allaah who is able over these affairs. Allaah is the One who creates, He is the One who provides sustenance, He gives life, He is the One who gives death, He is the One who brings illness, and He is the One who cures the illness. He is the One who gives wealth and riches, and He is the One who takes away wealth and riches, and He makes whoever He chooses poor. He is the One who brings life into existence and He terminates it. He is the One who brings about happiness by guidance to the means of happiness and He is the One who brings about wretchedness by the deserting the servant, and due to the mastery of the Shaytaan over a person [by Allaah’s permission] until the servant becomes wretched. Meaning: Even if they were able to hear your supplications because of the fact they were at one stage alive, then regardless of that, they are still not able to answer.. Meaning they will deny your supplication to them instead of Allaah, the Mighty and Majestic. That Allaah may put His Awliyaa and beloved ones to trial with various trials. And if that is the case with the Prophet (salallaahu `alaihi wassallam) and he is the most beloved of the created beings to Allaah, and the most noble of them, and the best of them in rank – that Allaah placed upon him (salallaahu `alaihi wassallam) trials to the extent that his people caused him distress and broke his teeth. So it is more likely that other than him will be tried and tested with tribulations. This trial shows the prestige, honour and great esteem of the Prophet (salallaahu `alaihi wassallam) to the point that he gathered together patience in times of tribulation and gratitude in times of bounty and blessings. The Prophet (salallaahu `alaihi wassallam) did not obtain what he obtained of honour and nobility and aid except after receiving harm and great trials. This proves that there is no individual from the created beings who can change anything in the dominion of Allaah or dispose of the affairs- rather it is Allaah who disposes the affairs in His dominion to the exclusion of others. In His saying: لَيْسَ لَكَ مِنَ الْأَمْرِ شَيْءٌ “Not for you [O Muhammad] is the decision” – therein is a refutation of the Sufis who claim regarding some of those whom they worship (i.e. the “saints”), that Allaah has given them the right to dispose of the affairs of the universe (i.e. control of them). This is the belief of the extreme Sufis of these times. The Sufis call them, “Muddarrikeen”, meaning those who undertake the responsibility of, or caretakers of, the universe. How they lie, and how misguided they are. Even the cattle know their Lord better than these Sufis. Upon them from Allaah is what they deserve. Meaning that the Messenger supplicated against Safwaan Ibn Umayyah, Suhayl Ibn `Amr, and Al-Haarith Ibn Hishaam. Allaah knew that they would become supporters of His Religion. And in reality, it came about that Allaah guided them to Islaam, so they became Muslims. From those who became Muslim: Abu Sufyaan Ibn Harb, Suhayl Ibn `Amr, Safwaan Ibn Umayyah, Al-Haarith Ibn Hishaam, and `Ikrimah Ibn Abee Jahl. So Allaah revealed: “Not for you [O Muhammad] is the decision.” So this proves that the decision of the affairs is not for the Prophet (salallaahu `alaihi wassallam), so what of other than him?! The affairs and decisions, all of them are for Allaah; the sovereignty of everything is solely for Allaah; the disposing and alteration of affairs, all of them are for Allaah. He does whatever He pleases, He raises and debases, He gives kingdoms and He takes them away, He enriches and He strikes with poverty, He gives life and He gives death. All the affairs are in His Hand; He writes for whomever He please happiness as an excellence and bounty from Himself, and He writes for whomever He pleases wretchedness from His Justice. He is not questioned concerning what He does, rather it is they, the created beings who will be questioned. So if the Prophet (salallaahu `alaihi wassallam) has no ability to do anything, then other than him from the creation have even less ability! Its meaning is that the ahlul-Fatrah are in the Fire (i.e. those who lived before the Prophet Muhammad was sent as a Messenger). They are not excused due to their ignorance, because ignorance in the [fundamentals of the] `Aqeedah is not excused. 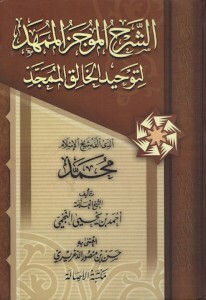 Those narrations that mention the testing of the people on the Day of Judgement, then they do not include Ahlul-Fatrah. It is possible those narrations apply to the insane, who was created like that and those similar to him. “There are four who will be judged by Allaah on the Day of Resurrection: A deaf person who cannot hear, an insane person, an old [senile] person, a man who died between Messengers. Then a covenant will be taken from them that they will surely obey Him. Then a Messenger will be sent to them commanding them to enter the Fire [in obedience to Allaah].